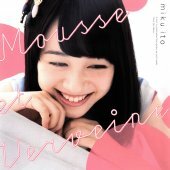 This CD+DVD package contains the first solo single by Itou Miku (伊藤美来). The DVD contains around 17 minutes of video. There is a promo video of "Awa to Verveine" and a making of video.